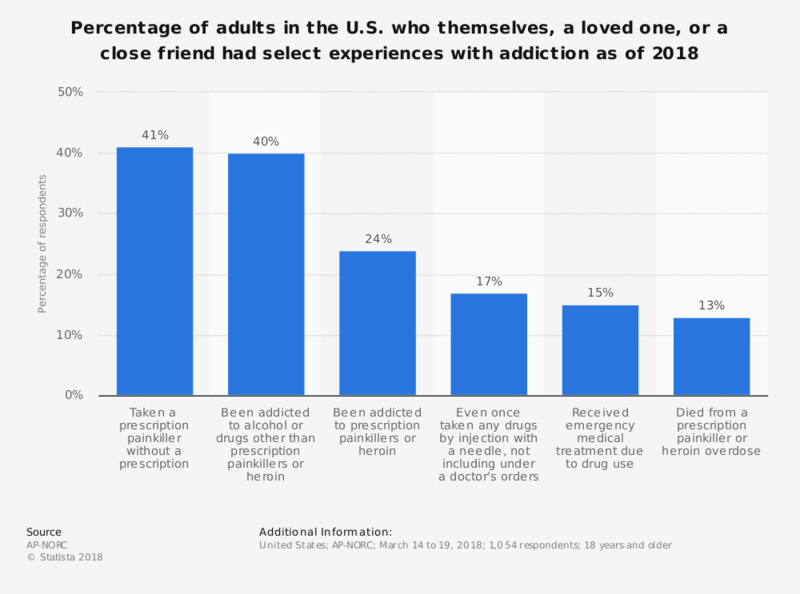 This graph shows the percentage of adults in the U.S. who themselves, a loved one, or a close friend had select experiences with addiction as of 2018. In that year, 41 percent of the respondents stated that they, a loved one or a close friend had taken a prescription painkiller without a prescription. Original question: Have you, a loved one, or a close friend ever [ITEM]?